SnapCacklePop: Hurts gives you Wings in new video..! Hurts gives you Wings in new video..! Hurts announce their stunning new single Wings, the latest track to be taken from their amazing album Surrender, that was worked with long-term collaborator Jonas Quant to produce this epic song, set to fill arenas across the globe. Theo's vocals soar above the stomping beat of Wings making it one of their biggest and boldest ballads to date. The video for Wings was directed by renowned music video director, Dawn Shadforth, known for her work with the likes of Bjork, Primal Scream, Florence & the Machine and Goldfrapp. 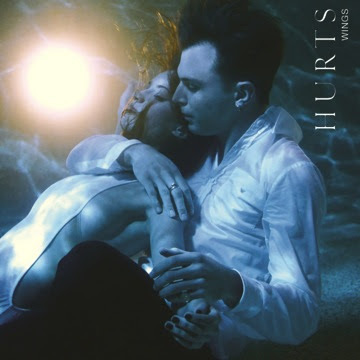 Hurts previously collaborated with Shadforth on their music videos for Wonderful Life (Still one of our all time favourites) and recent single Lights – two striking pieces of work – and 'Wings' is another magnificent string to their bow. Hurts album Surrender is amazing piece of pop that needs to be purchased if you have not all ready. Get it on iTunes now..!